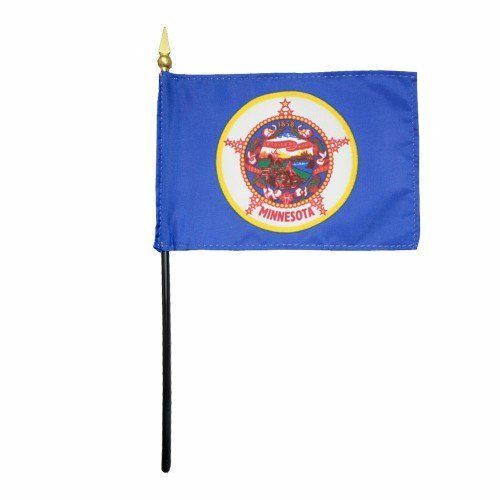 AmericanFlags.com is proud to carry Minnesota State Flags in a variety of materials, and styles, in sizes ranging from 4 IN X 6 IN to 12 FT X 18 FT. All of our Minnesota flags meet official specifications, are on sale right now and are ready for immediate shipping to your door. 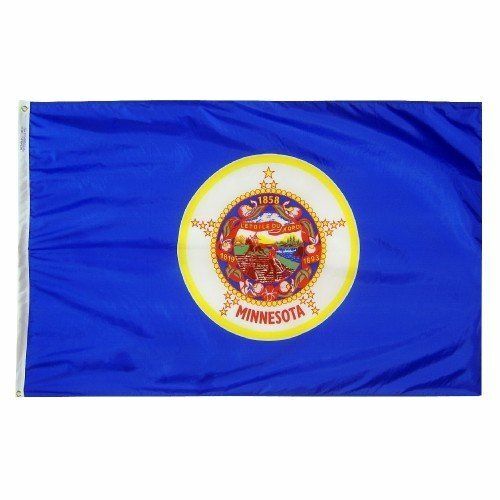 Adopted in 1957, the Minnesota state flag bears an image of the state seal on a royal blue background. 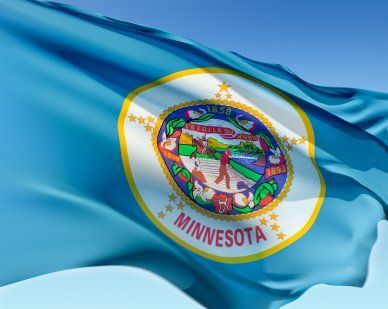 A wreath of the state flower, the pink and white lady slipper, encircles the seal and features three dates: 1858, the year Minnesota became a state; 1819, the year Fort Snelling was established; and 1893, which is when the first official state flag was adopted. 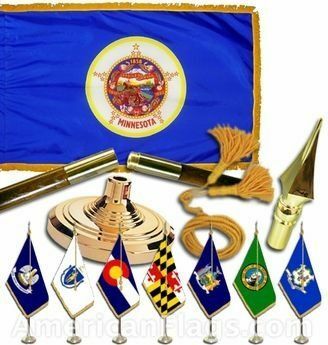 The nineteen stars that appear around the wreath indicate that Minnesota was the 19th state to enter the Union following the original thirteen. 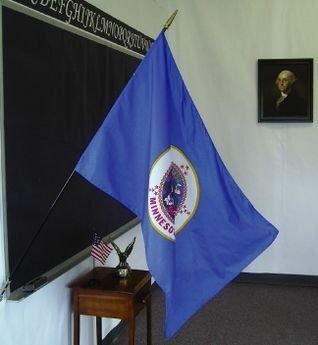 The largest of these stars represents Minnesota. "L'etoile du Nord," the state motto, which is French for "Star of the North," is inscribed on the red banner within the seal.